A unique retreat using the power of sound and sacred Indian music to introduce you to your authentic voice. A magical weekend of rejuvenation and self-discovery! We can so easily loose our sense of connection and peace under the pressures of daily living. So often immersed in distraction - the screens, the pressures, anxiety. What our soul really craves for is to be connected in a deep and tangible way. Present moment connection and joy. A heartfelt expression of wonder at our existence on this planet. Because if we can directly experience the wonder, free from the worries and stress that usually stand between us and our joy…won’t life be a little easier? A bit better? A touch more fabulous, every day? We are delighted to offer you a weekend retreat right here in Australia which will soothe your senses / heart and ignite your soul! With the power of sound. The best thing about this is that by experiencing this uplifting power in a supportive and inspiring environment, you will learn how to take it home with you. So no matter what’s happening in your life, and no matter how burnt out you might feel, you will always be able to shift your perspective using a tool that you carry with you all the time: your voice. Sudhanshu Sharma is an internationally respected musician, sharing Indian Classical Music around the world. He sings to engage and ignite mind and soul — and he will teach you how to do the same. His offerings are not just entertainment, but a journey into the heart and soul of music. 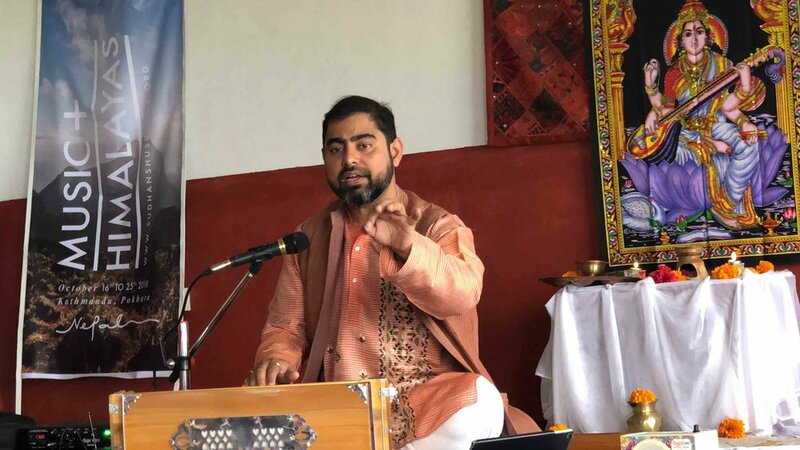 On this retreat Sudhanshu’s transformative sounds and musical teaching will be supported by yoga and meditation from co-teacher Chetana Meehan to create a holistic immersion into the soul. With a carefully curated balance of Yoga, Pranayama, and Nāda Yoga (the Yoga of Sound), you will be guided in finding connection of your head and your heart. Sound has been the formative force behind the soul. All living beings are composed of cosmic vibrations. The Vedanta speaks of Nada Brahma, the Sound God, of which all things are made. But we have become too accustomed to the elemental sound vibrations of the soul — so that we no longer consciously perceive them. They’re obscured by manmade noise and have faded into the background. By consciously attending to these sounds you lift them back into your awareness and the effects on your wellbeing are incredible. Share Mantra Chanting and Kīrtan Singing with your retreat group — a profound experience of the uplifting power of collective sound-making! Connect with the Sounds of your Soul! The benefits of this immersion into the wonders of sound will extend far beyond the end of the retreat. have a method for lifting your mood and creating balance. Discover your voice — and your Self! As musicians and yogis of Nāda (sound) we seek the canvas of silence on which to paint our soundscapes. We have always been inspired by the idea of doing music sādhanā (practice) in pristine natural locations around the world. The beautiful Brahma Kumaris Centre for Spiritual Learning provides us with an ideal sonic atmosphere to engage deeply and calmly in our practice of sound and connection. 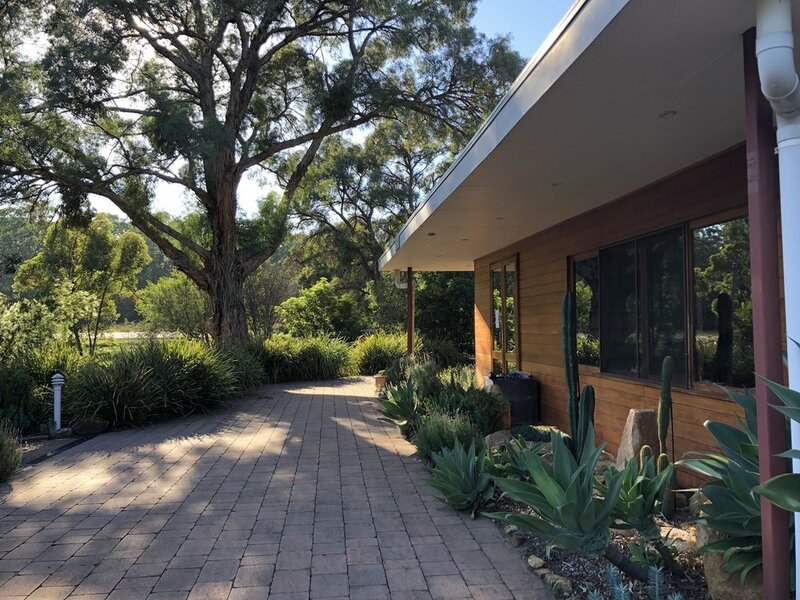 The Brahma Kumaris Centre for Spiritual Learning is a peaceful oasis of gardens and bushland., just 1.5 hours drive south from Sydney in the serene Illawarra area of Wilton,. This not-for-profit, volunteer based retreat centre offers a blissful immersion in spectacular natural surroundings. Run by a yogic community, everything about the Brahma Kumaris is set up to support self discovery and inner mind and body work. With beautiful grounds and comfortable twin, triple or single accommodation all with the convenience of ensuite bath rooms make it the perfect setting for our immersion in sound and yoga. 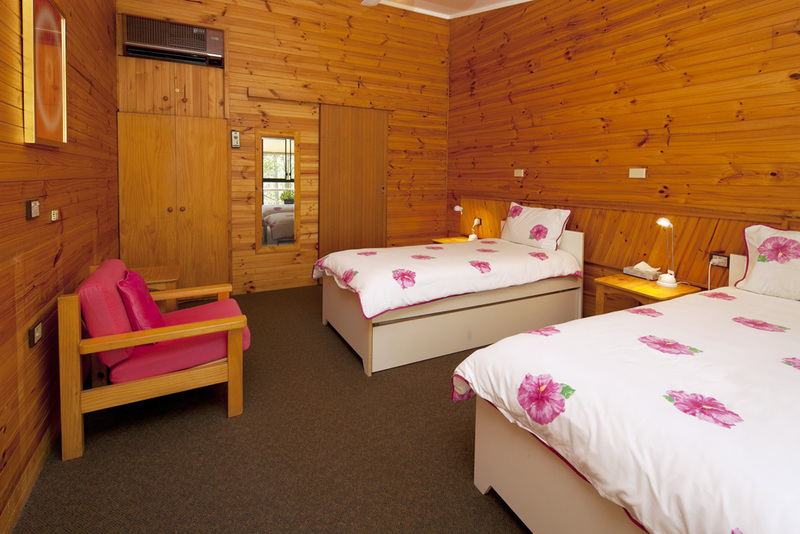 The rooms look out over serene gardens and bushland surrounding the meditation centre. We thank the Brahma Kumaris Australia for making their beautiful retreat centre available to us for this retreat. Connect with nature and rediscover your authentic self. 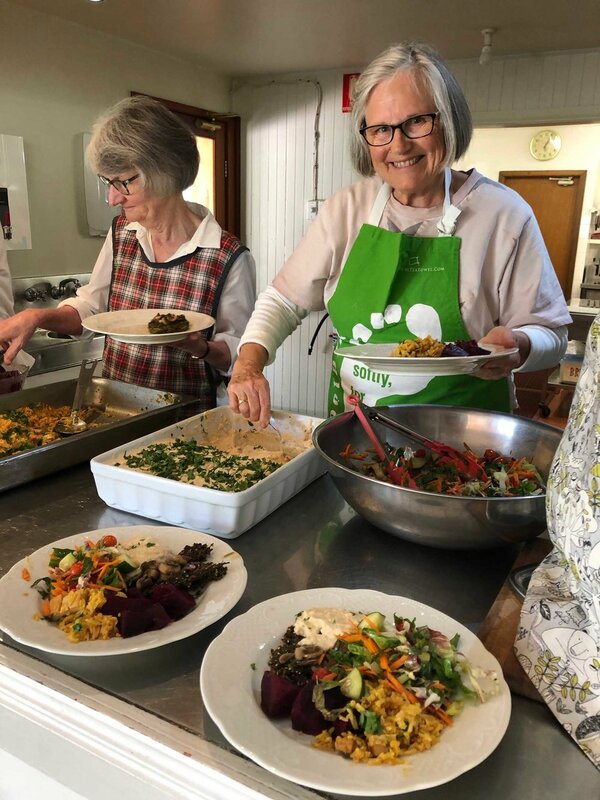 The Brahma Kumaris team of dedicated volunteers take great pride in creating and serving food led with both love and nutrition. They are committed to preparing plant-based, nourishing meals and snacks which support optimum health. All of the food you’ll eat during this retreat is made with the understanding that the quality of your diet affects your physical and mental health. Dietary needs such as gluten-free and dairy-free can be catered for. He was awarded a Gold Medal in Post-Graduate Music from the University of Delhi, and later trained under Pandit Baldev Raj Verma, the prime disciple of Pandit Amaranth and one of the torchbearers of the Indore style signing popularised by legendary Ustad Amir Khan Saheb. 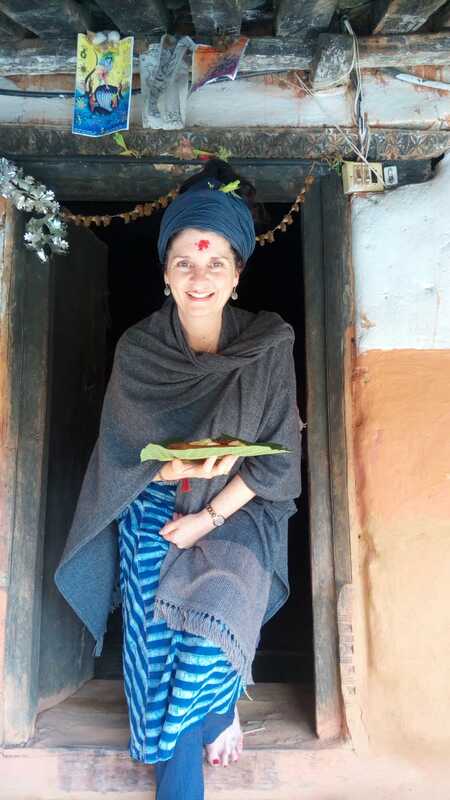 I love to travel and run culturally rich retreats! After spending much time travelling and working around the world, I felt that something was missing — that elusive thing called ‘happiness’. Now, all these years later, I’m living my dream — drawing on all my experiences and sharing these wisdom teachings and spectacular locations on retreat with others. You’ll be joining a group of like-minded people who wish to delve deeper into the profound benefits of the practice of the yoga of sound. Pricing is based on twin and triple share, however if you wish to have your own room a single supplement of $100 is required. Any cancellation made up to 10 May 2019 will result in a loss of a $50 administration fee. Any cancellation made between 10 May and 24 May 50% of the total retreat price. Cancelations from 24 May to 7 June or no shows will result in a total loss of funds. We reserve the right to cancel the trip if it is not meeting the trip minimum (if we do your money will be refunded in full). If you wish to cancel your reservation, it must be done in writing or via email and the cancellation will be effective as of the date Yoga for the Soul Retreats and/or Soul Moves Geeti receives it.